 100+ Women Who Care Regina is a community organization located in Regina, Saskatchewan that brings together women from Regina and surrounding areas who care about their community. Four times a year, for one hour, members meet to jointly select one of three charities working to improve their community. Each member commits to donating $100 to the chosen charity. With over 100 members, this means more than $10,000 raised in just one hour for a local charity. With four meetings a year, 100+ Women Who Care raise over $40,000 annually. As of December 31, 2018, 100+ Women Who Care has 152 members. In 2018, 100+ Women Who Care raised $61,350, and $187,150 since 2016. Hopes Home was the nominated charity at the March 12, 2019 meeting. The next meeting is Wednesday, June 4, 2019. If you want to be part of a powerful group of local women who create immediate impactful change, 100+ Women Who Care is always accepting new members. Let’s do something great together in 2018! 100+women x $100 each = $10,000+ / 4 times a year! A group of empowering women making a positive impact on our local charities and non profit organizations in our community! 100 Women Who Care Regina is a group of fabulous women from Regina and surrounding area who gather together for 1 hour 4 times per year. 3 charities are allowed to pitch their charities to the membership and after a vote by the membership, a charity is chosen and each member writes a cheque for $100. It is fabulously simplistic yet such an impact. 100 Women...1 hour...$100 = $10,000 raised for a local charity! We believe this, do you? 100+ Women Who Care Regina is with Carol Bachynski and 2 others. Can everyone agree that receiving this year's tax receipts was a lovely reminder of the good work being done in our community? Thank you.